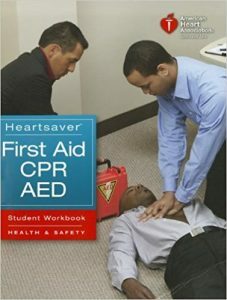 The Heartsaver AED course covers adult, child & infant CPR with choking and use of the AED for the adult and child and is intended for all individuals who have a duty to respond to a cardiac emergency because of job responsibilities or regulatory requirements, including: security guards, airline personnel, police, firefighters, personal trainers. It is also appropriate for lay rescuers who may have a need to respond to an emergency in the workplace, and family members of patients at high risk for sudden cardiac death. We offer a wide variety of options for your CPR training needs.